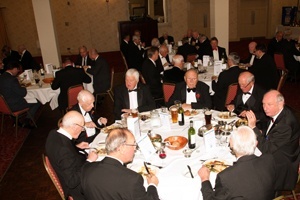 Another successful Club Dinner, this time at the Hallgarth Manor Hotel. 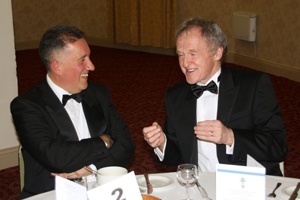 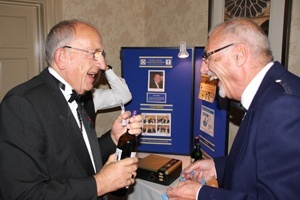 Every year it provides the perfect mix of meeting old friends, making new friends, listening to an interesting speaker and raising some money for worthy causes. 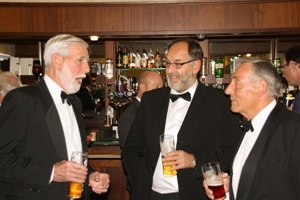 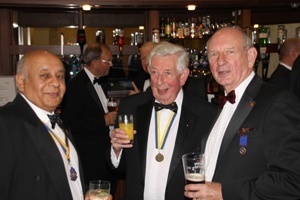 President Ashley greated his top table guests while the space around the bar filled with voices and faces. 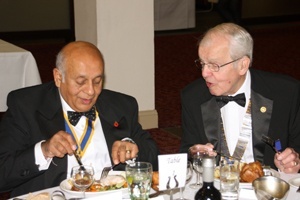 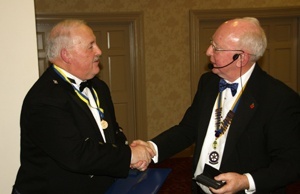 President Ashley guided his guests to their seats and MC Past President Alan PHF introduced Past President Bob PHF to read the "Objectives of Rotary" before the meal commenced. 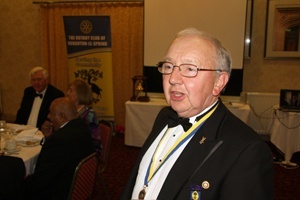 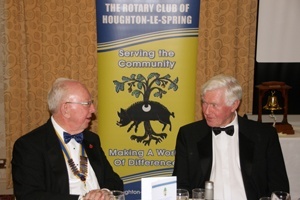 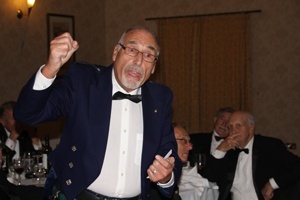 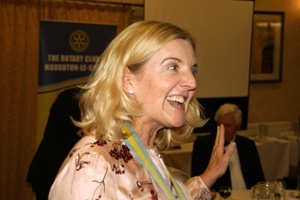 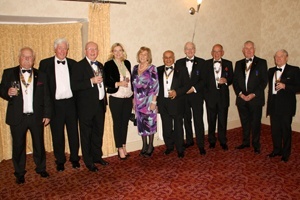 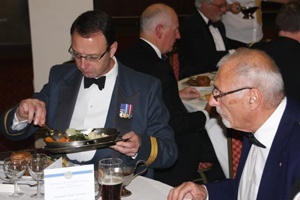 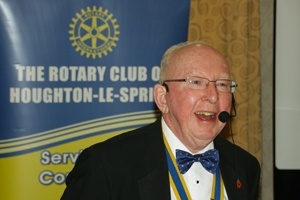 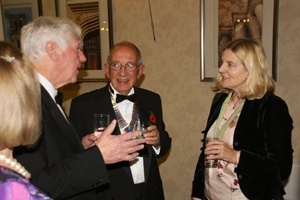 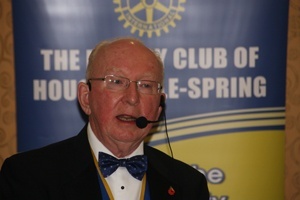 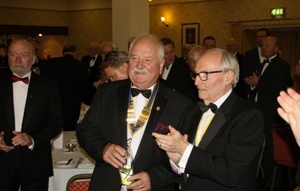 President Ashley proposed the toast to our guests, and Assistant Governor Fiona Swan proposed the toast to the Rotary Club of Houghton-le-Spring. 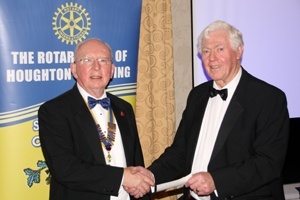 One of the highlights of the evening was the awarding of a Paul Harris Fellowship. 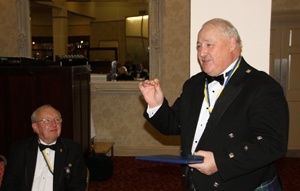 This is an honour nominated by the club in recognition of an outstanding life of service to the community. 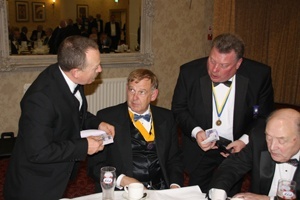 The name of the recipient was a secret but the smile on Kevin Reilly's face when he realised that President Ashley was talking about him was worth seeing. 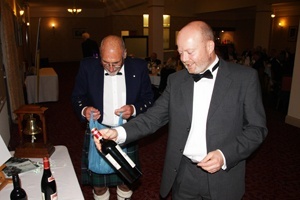 During the interval raffle tickets were on sale for an array of bottles and one tin of biscuits. 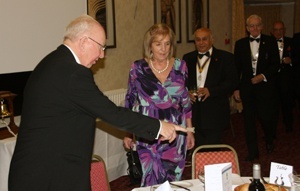 AG Fiona drew the first winning ticket and slowly the table of bottles was cleared. 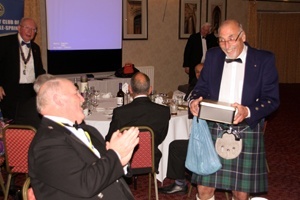 The lucky winner of the biscuits was our new Paul Harris Fellow Kevin who received a personal delivery of the prize from Past President Graham. 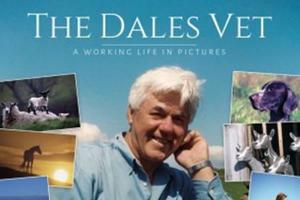 At last it was time to sit back to be entertained by Neville Turner, a retired vetenarian from Teesdale. 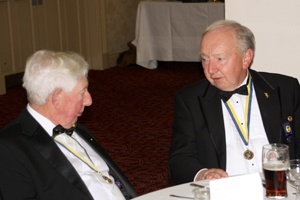 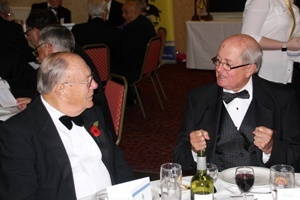 Before he started he was caught in animated conversation with our own retired veternarian Past President Godfrey. 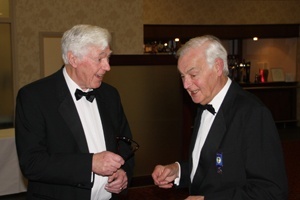 A case of two old vets together! 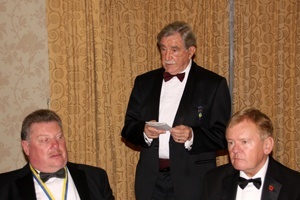 The vote of thanks was given by Past President Graham who recounted his own childhood farmyard encounter with "the blunt end of a cow". 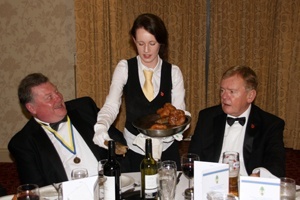 He demonstrated how he had to hold the cow's tale up but happily did not demonstrate the results. 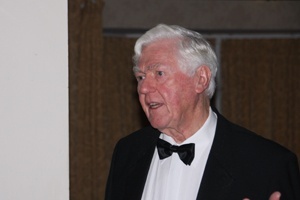 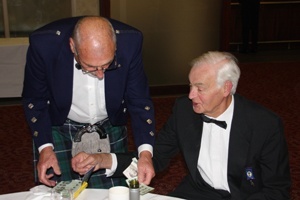 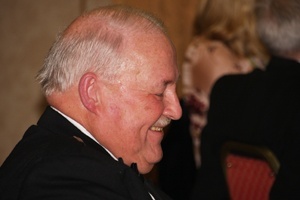 The proceeds of the raffle were to be shared by Neville's favourite charity the Upper Teesdale Agricultural Support Services and Parkinson's UK (in memory of Past District Governor George Bennison PHF) The total raised was £500 and the evening concluded with the presentation of a cheque to Neville.